Google announced the addition of Google+ Photos to Drive earlier this week, but for once Apps customers aren't left waiting too long. This feature will start hitting those accounts on April 6th. Google has also been kind enough to offer more info on how Photos in drive will work, in case you were wondering. Here's what Google has to say about the new feature. 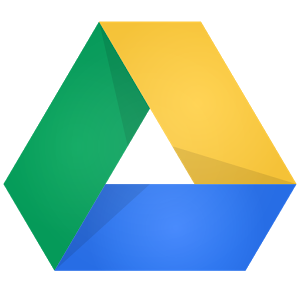 All users will see a new menu item in Drive called Google Photos, including those who don’t currently use Google+ Photos. If the user opts to create the Google Photos folder in My Drive, and is also a Sync Client user, they may want to go to Sync Client Preferences -> “Sync Options” and selectively remove the new Google Photos folder from syncing to their desktop. Users can rename, move, share or delete the Photos folder in My Drive as needed. If at any time a user unchecks the setting to put Google Photos into the Photos folder in My Drive, the folder will continue to exist (unless deleted by the user) but no new photos will flow in. Photos and videos that do count against quota that are backed up to Drive via Auto Backup will only count once against a storage limit, but Apps users may want to review their Google+ Photos Auto Backup settings to avoid inadvertent syncing to their corporate Drive account. So the folder isn't there permanently if you decide you don't want to integrate the photos anymore. You can shut off sync at any time, and the folder itself can be moved or deleted from Drive. It could take a few weeks before this feature is on all Apps accounts, but I believe most regular accounts have already gotten the update.